to make sure everything was OK.
demonstrating how well balanced the wheel is. Above: The wheel turns for the first time in over fifty years. The drift from side to side is only one inch. village a three inch covering. Above: The team start to construct the aqueduct base. 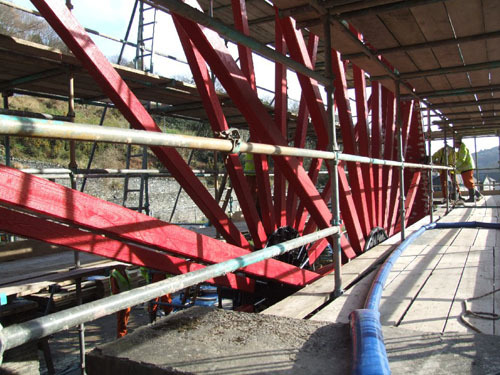 in to position on the main aqueduct supports.